Barely four months ago, CBC News asked Premier Kathleen Wynne how open she was to the idea of boosting Ontario's minimum wage to $15 an hour. She was rather unenthusiastic. Barely four months ago, I asked Premier Kathleen Wynne how open she was to the idea of boosting Ontario's minimum wage to $15 an hour. She was rather unenthusiastic. Despite activists pushing the government for a sharp increase from the current minimum wage of $11.40, Wynne defended the existing system of nudging it upward once a year by the rate of inflation. "We've got a really good process ... that actually depoliticizes the increases to the minimum wage," Wynne said on Jan. 19. "That is the responsible way to move forward. It is very important to me that we have a predictable and sustainable way of seeing increases to the minimum wage." Fast forward to Tuesday, when Wynne announced: "We will raise the minimum wage to $15 an hour, the largest increase in our province's history." So, why did the Ontario Liberals shift gears so quickly on the minimum wage? Wynne insists she has supported the cause all along. "I'm in politics because I believe we can have a fairer society," she said Tuesday to a question from the hand-picked audience of workers and activists at her announcement. 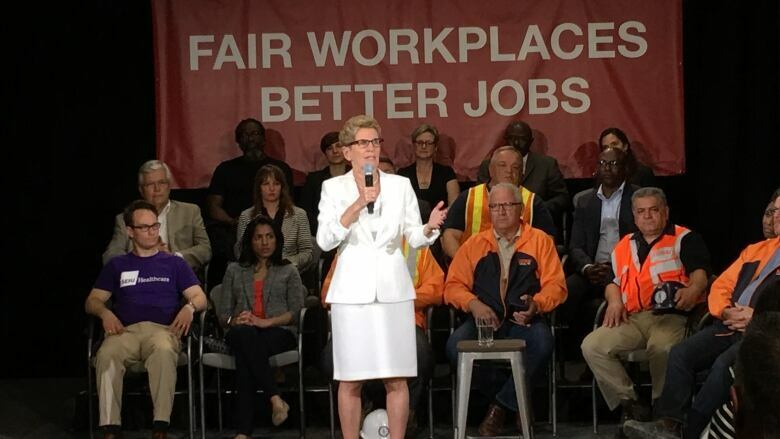 While the Wynne government's moves on workplace reform are being broadly cheered by unions, anti-poverty groups and low-wage workers, some believe there is a cold political calculus at the root of it. New Democrat leader Andrea Horwath, who committed in April 2016 to a $15 minimum wage, launched a blistering attack Tuesday on Wynne. 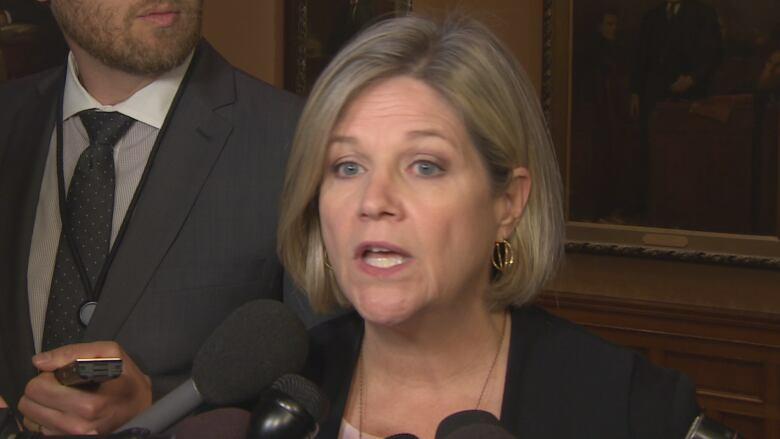 "The only time she cares about anything is when it has to do with her own political fortunes and that's what's so disappointing about this premier," Horwath told reporters at Queen's Park. "The NDP have been fighting this fight for a long time. For us, labour law reform and a $15 minimum wage is not an election ploy. That's what we believe in." Horwath claimed the Liberals are doing this only to help their election prospects. "For 14 years they've done nothing to address the erosion of people's standard of living, of the minimum wage, of the quality of work," she said. "That's a shameful way to govern this province and people are tired of it." Horwath is hoping voters will see the Liberals' moves as cynical electioneering. 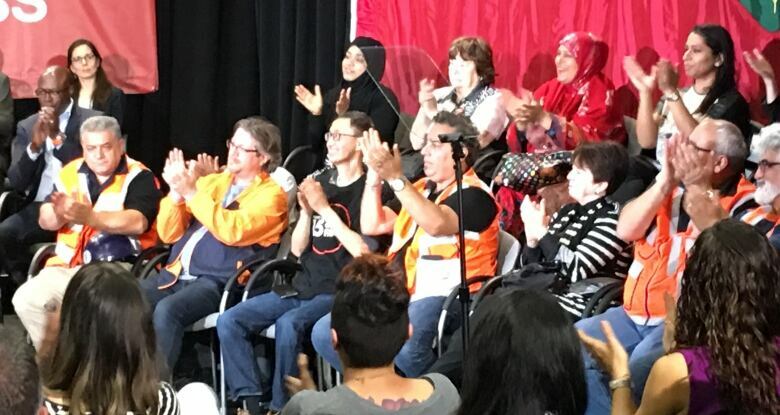 But the fact is, Wynne has yet again pulled a plank out of the NDP platform, potentially diminishing the New Democrats' appeal to progressive voters. 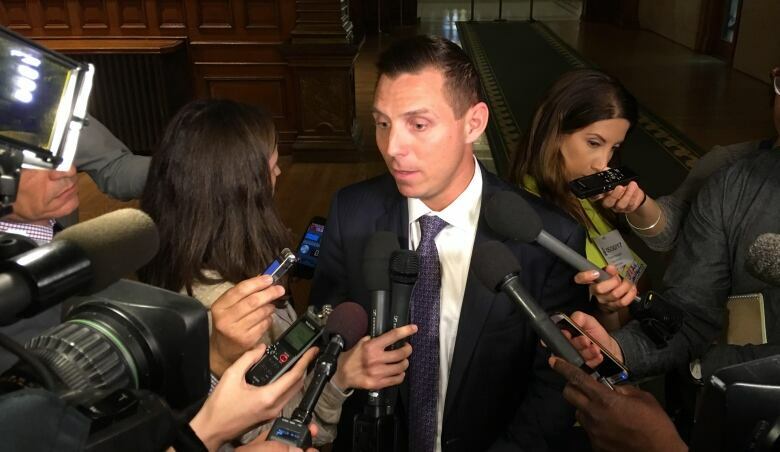 At the same time, the Liberals have tossed another hand grenade at Patrick Brown and his Progressive Conservatives, trying to force him into a position either for or against the minimum wage hike. For now, Brown is refusing to take a stand, and said he won't until he sees a cost-benefit analysis of the move. "We want to be absolutely sure this is not going to diminish our ability to have job creation," Brown said Tuesday at the Legislature. "Normally it's standard practice to have cost-benefit analysis of legislation this significant. It's unusual that that hasn't been performed." To drive his point home, Brown said "cost-benefit analysis" 15 times in a six-minute scrum with reporters. Brown is politically squeezed between the business groups who are already coming out hard against the higher minimum wage and the reality that it could be quite popular with a large swathe of the electorate. Consider these numbers: one-quarter of the workforce earns less than $15 an hour — that's 1.6 million Ontarians. The Liberals won the 2014 election with 1.8 million votes. So, perhaps Brown will defy the small-c conservatives and endorse the minimum wage hike. He's not ruling out the possibility. "I get why there needs to be higher wages," he said Tuesday. "After 14 years of Liberal government, life is more unaffordable in this province." Labour Minister Kevin Flynn grinned when I asked him if the Liberals are painting Brown into a corner with the wage hike. "One of the most unpredictable people I know is Patrick Brown. I really don't know what's going to come out of his mouth tomorrow," said Flynn. "I would hope that any political leader would support us in this endeavour," Flynn continued. "I think it's a good day for the small person in Ontario and I think that transcends partisan politics." With an election a year away (June 7, 2018), you can rest assured that partisan politics is a motivating factor in everything the Liberals are doing.